Time flies and it is time for another WIPocalypse update already! I didn't make much progress on my projects this month, but I did manage some. 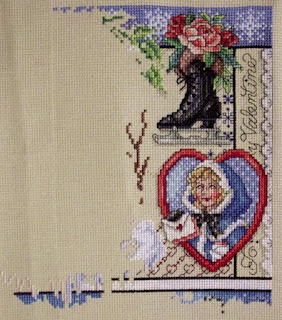 Shown above is my "Winter Sampler" by Sandy Orton. I have been working on all 4 of the season samplers and really love them ... but they do take time with all of the color changes and back stitching. 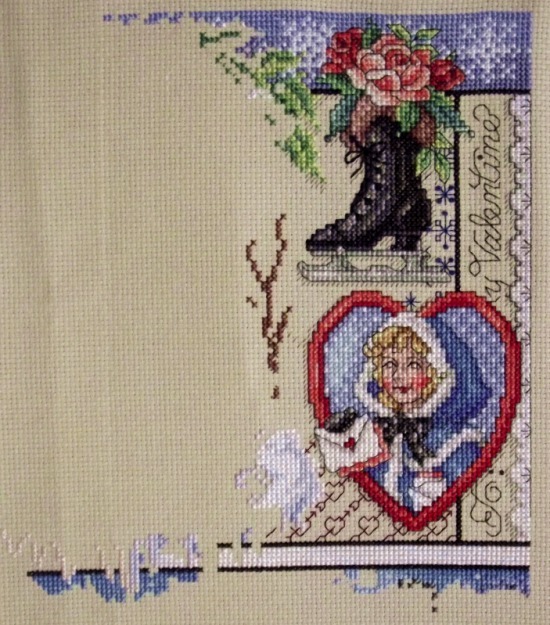 You can see from my previous progress photo that I did manage to finish the french knot & back stitched snowflakes around the ice skate. 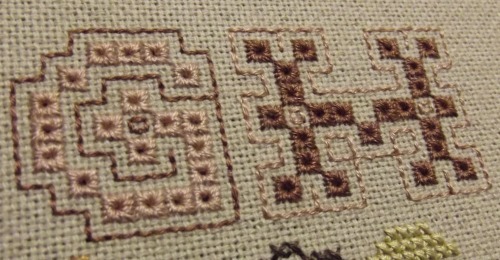 I also worked a bit of the next motif to the left. 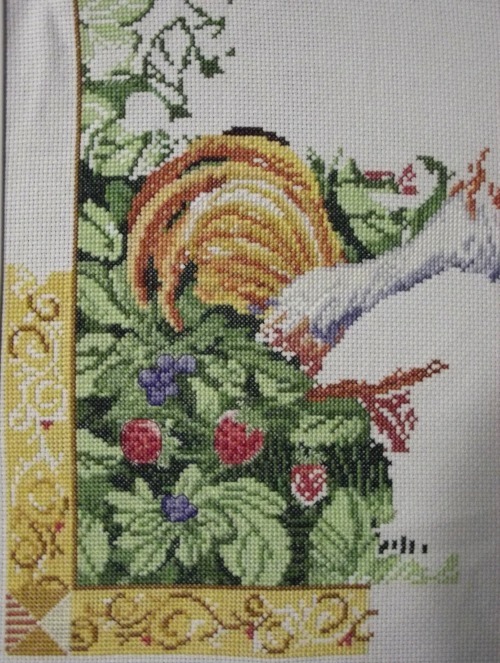 I am trying to work a bit on all of my projects this year, so the next in line was my "Berry Patch Rooster". I stitched on his wing. That is absolutely all of the stitching I managed for this update. 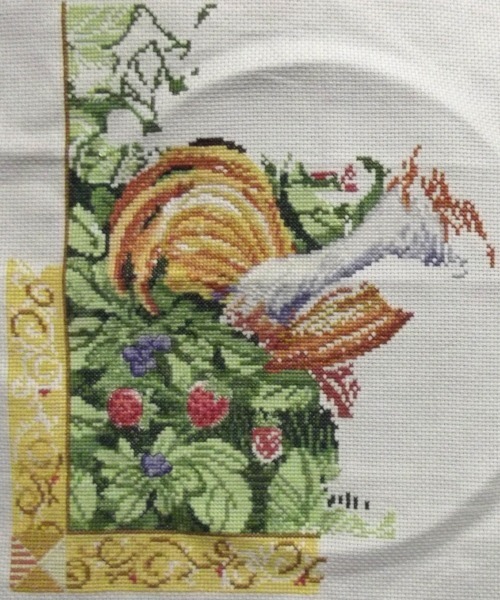 I hope to have more time to stitch next month (fingers crossed). Hmm ... 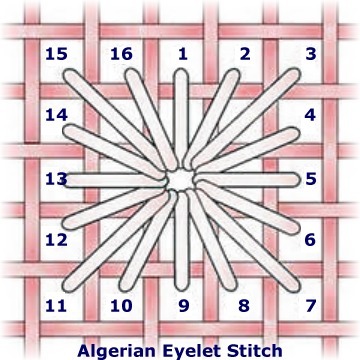 I have a fondness for the "Algerian Eyelet" stitch, which is used in two of the samplers I am working on: "Dutch Sampler" and "Spanish Sampler". 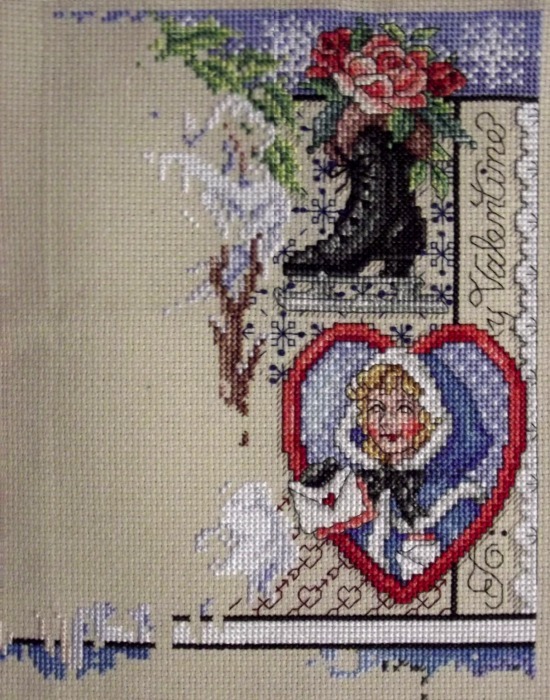 It is time consuming, but I love the way it looks when completed. You can really see the progress you've made from the photos. I like the Algerian Eyelets too but those letters are very time consuming. Gorgeous though! I loved seeing your progress. I rarely work with any stitch other than the basic cross-stitch. I think I need to expand my repertoire. 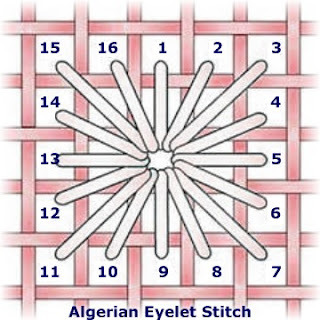 That stitch looks fun but I haven't tried it yet. Great progress!